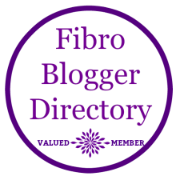 Fibromyalgia is a shorthand code for “not designed for this world”, a label for being a misfit at a very deep biological level; but not because we are faulty but because the world isn’t ready for us yet or, you could say, we arrived early. It’s a bucket title for those who are way too super-sensitive to cope with how things currently are, being calibrated to another time-space, and so we become systemically floored, like fish out of water gasping for breath. So, those of us fixated on recovery (and not all are, some give themselves up without a struggle) set about a long program of dealing with our sensitivities to get close to what feels more comfortable to us; tackling food, environment, all the minutiae of lifestyle, and we can get better…to a point. However, when we reach such a threshold, one where our biological reactions are so thoroughly under control that life is mostly tolerable and we know ourselves so well that we can philosophically cope with all the rest, we may also find ourselves smacked in the face with the realisation that we are never going to fully “recover” or fit in after all…not in this world, nor at this time, in the format it currently has. More than ever, we realise we are the jigsaw piece from another version of the puzzle; similar picture but not quite the same, like the contents of two boxes got mixed up in the cupboard. It’s as though we can overlay this version of reality with our own so that we seem to fill the space where we are meant to be but the edges never quite meet; and others notice this about us too, keeping their distance, entrenching us further as the detached spectators of life. Its something we learn to be accepting of, to tolerate, which we manage…most of the time though at others it makes us sad, like a deep and innocuous feeling of homesickness. So we adopt the stiff upper lip and we try to get back to the job…our job in this life…whatever that is; yet even a sense of our core purpose in life can flounder at these times. We realise we have been blithely imagining “our recovery” as some sort of process of slotting back into the herd, of being one of them, pursing normal pastimes again, grabbing a bite to eat, being utterly spontaneous like we used to but suddenly we wake up to the fact that such a likelihood closed off to us a long time ago; it was siphoned away the very moment we woke up to our very first symptom of being out of the ordinary, of being bizarrely and biologically out of time and step with this reality and yet we opted to find a new way of being, so we could survive. We realise, that was just the start of a new trajectory…and now we are miles apart; us and the conventional world. That’s because our steady improvement has all been one giant process of standing up for our differences, of being prepared to tailor our own microcosm of life in ways that are subtly but importantly different to most peoples’ choices but just right for us. Slowly but surely we have learned to place our wellbeing above convenience, trends or the motivations, conditioning, demands and say-so of others. “Fitting-in” was one of the first things we threw off. We have turned down all the dials on the pace of life and shown that we can exist in a very different place to the rest of the world; whilst seemingly, seamlessly, coexisting with it. We have ear-marked our own dimension and dropped it into the reality of everyone else; only they are subtly out of sync with each other in ways that we clearly perceive and those other people only vaguely suspect (though enough for them to sense we are uncomfortably “different”). Over time, we hone a sort of environmentally controlled bubble in which we carefully and mindfully live our own lives, peering though its glass bauble at everybody else. With our enhanced diet and our micro-environment made out of subtly different life choices to the throng, we find we can thrive for ever longer periods without being tipped over in that old way but we are kidding ourselves if we think we can ever “go out” there for anything longer than a holiday or a few days in a city, which can be enough to knock us off our perch for days or even weeks so its a trade we seldom take lightly. The broader world is like one giant relapse; its fear-driven people and toxic overload trip our super-sensitivity up at every turn since we are the living-breathing measure that these excesses exist, we are the biological systems that are shouting them out. To go “out there” all the time is to know what it feels like to have our alarms going off all the time (again). So how is this conditional existence satisfactory, the holly grail of recovery we chased after for so very long? Can we ever ditch the odd-ball lives we’ve built, go back to “normal”, do all the things other people do once our health stabilises without it being the snake-ride back to the start of the game? Normally, I don’t even want to…but sometimes, just sometimes, I feel there had to be an easier way to live my life than this; I gnash my teeth and wonder why the hell I couldn’t have picked a far easier, more sociable, route. So here I am again. I realise I am at some sort of crisis of confidence with my recovery…with everything to do with who I am, what I do, who I do it for. With all the hours I spend alone, utterly detatched from physical community, doing what I do, which I sometimes wonder “why am I even doing it?” Why do I bother writing, painting, researching, sharing information, all the myriad things I do (mostly…not now) with so much gusto and drive? For all the dent they seem to make on this world, why put myself through the constant effort since none of them feed back into me at a level I can measure; they don’t feed me (literally, they don’t since I make no livelihood from them) so why peddle so very hard? Perhaps if these “whys” hadn’t reached some sort of convergence point with the bigger question outlined above (how can I do all this for my health, make so many shifts, and still not thrive “out there” in the real world where other people live) then I would feel less bewildered as to why it is I chose this life. What did I expect to gain from coming here in this format, at this time when every personal victory of improvement is so conditional on where I am and the choices I make, moment to moment, mouthful to mouthful, environment to environment? Why live in a time of just so many choices and feel like they are all on display behind a sheet of bullet-proof glass so that I can see but can’t touch them; to have them already filtered and chosen for me by what my biology can cope with before it tips over into pain? When “non pain” and “non exhaustion” is so conditional; like walking a tight-rope. There must have been a reason I selected this particular time…which is like falling into a vat of sensitivity soup for people like me. I’m left with this; perhaps I really am some future version of myself, from a world where I am perfectly calibrated for my environment and the frequency of the people who live there. Perhaps I’m a preview of a future model, with features that don’t yet sync with the way the world is. Maybe people like me are those long-anticipated aliens from another world only it is really this world, in another time, that we herald from; we are the way showers. Perhaps my non-compute at the bland reception of all that I am and all that I give so freely of myself, is the very communication breakdown between two peoples that makes at least one half of that dialogue (me) try so very hard to forge paths of communication that those listening out for a sign might start to hear if I just keep trying to refine my methods of speaking what I know. Perhaps the extent to which I feel the misfit, noting the “rub” between this reality and another one that I perceive being held out there in potential, creates the friction of desire that serves like the tyre on the road; the very thing creating traction to get me and others like me from one reality to another. Perhaps the relentless motivation by impulses that have nothing to do with personal gain and everything to do with making the path easier, quicker and more direct for others is how those like me demonstrate that future reality in action (since, you could say, it is fuelled by love). Perhaps it is the ceaseless desire of those in recovery from chronic health issues to keep moving optimistically towards a more comfortable, heart-centred reality where we biologically thrive, showing others how it is all done by focussing on meeting our own needs, creating our own best environment, making our own most discerning choices at every turn, is one of the ways that we help fuel the evolution of a planet…and this is our contribution, which is enough. Posted in Awareness, Fibromyalgia, Lifestyle, Natural living, Power of thought, Recovery, Uncategorized, Vibrational universe	allergic to modern lifealternative livingarticleschronic health as a modern phenomenonfibromyalgiais recovery from fibromyalgia possible?living with painmultiple sensitivitiesnot fitting inout of sync with modern lifethrivingwhat does recovery look likewhat is fibromyalgia?what is the point of life?